Personal Assistant Service in the Automotive Industry. To Be Competitive, You Need to Give Your Customers Something They'll Remember. MyStar Gives Them an Exceptional, Unique, Personal Experience Everyday! Every Day, One Customer at a Time. to Help Your Customers With Anything, Anytime, Anywhere®. Your Customers Have Come to Expect More. Whatever your customers need, MyStar Personal Assistant is always there. Travel arrangements, directory assistance, weather/traffic conditions, emergency assistance ... you name it, we will do it ... all branded in your dealership's name! Your customers will have peace of mind knowing MyStar is available 24/7/365. Each call is answered by a live professionally trained personal assistant that brands your dealership anytime. No matter where your customers are, MyStar is available by phone, email, text, online, or via a dealer-branded personal assistant app. We make it easy for your customers to connect and get the answers the need from anywhere in the world. Watch this brief overview about the MyStar Personal Assistant program to learn almost everything you need to know about how MyStar can help you sell more vehicles, increase your CSI scores and keep your brand top-of-mind with your customers long after the sale. Sign up for complimentary access to the service after watching this video to experience what your customers will experience. You will be amazed how simple it is to implement the service in your dealership and start giving your customers the ultimate dealership experience all branded in your dealership's name. The MyStar program is completely customizable to your dealership. Please contact us for more information. Your submission contains errors. Please see the notes below any field with errors and resubmit. MyStar is the only dealer-branded personal assistant service specifically designed for the automotive industry. Your customers will receive access to a team of live, professionally trained personal assistants 24/7/365 that will help callers with anything they can imagine. The program is completely branded to your dealership and costs you absolutely nothing to implement. You only pay for the service when a vehicle is sold. Your employees will love talking about and issuing the service to your customers. MyStar will create and print branded marketing materials for your dealership to be able to present the program to your customers. 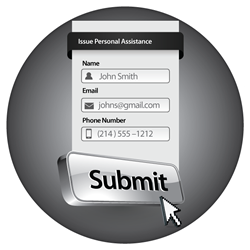 All that is needed to activate the service is your customer's name, email and cell phone number. Your customers will receive a branded welcome text message and email within seconds and will be ready to use the service. All your customers need to do to use MyStar is dial a toll-free number. They will be greeted by name by one of our live personal assistants, read your dealership's branded greeting and can ask anything they can possibly imagine. Travel arrangements, directory assistance, weather/traffic conditions, emergency assistance ... you name it, we will do it all! Your customers can also make requests by sending an email, a text to a short code, an online request or even using the dealer-branded personal assistant app we will create for your dealership as part of the program. Learn more about the app. Infiniti has included 4 years of unlimited access to Infiniti Personal Assistant with every new Infiniti sold in the US and Canada since 2010. Every new Infiniti equipped with Infiniti Connection includes 1 year of unlimited access to Infiniti Personal Assistant from inside the vehicle. Every Toyota and Scion sold with the TOYOGUARD Elite Package receives complimentary access to TOYOGUARD Personal Assistant. Dealerships across the country who sell vehicles bundled with the EasyCare Advantage benefit give thier customers complimentary access to EasyCare Personal Assistant. Every vehicle sold at a certified Motor Trend dealership comes with complimentary access to Motor Trend Personal Assistant.